Earlier this month a woman was sexually assaulted at Manhattan Beach, while the attacker forced her male companion to lie face down in the sand. 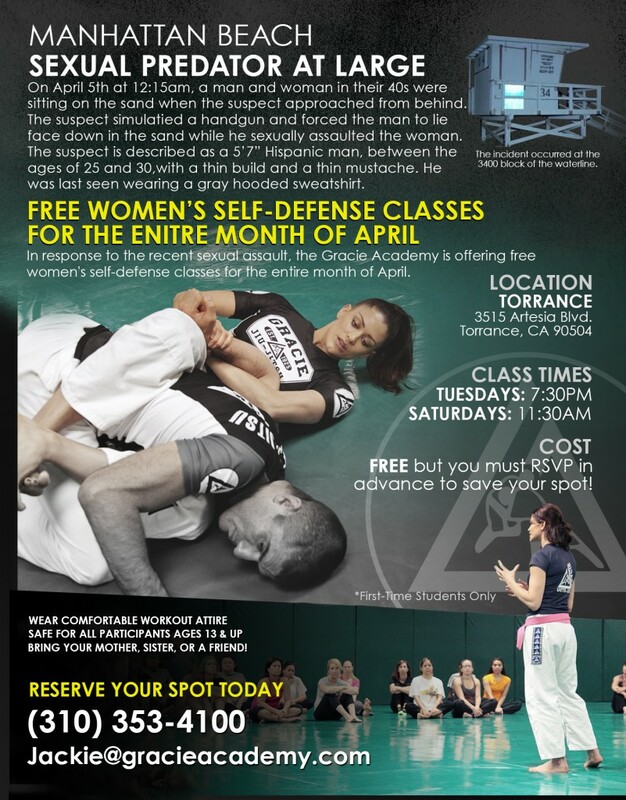 In response, the Gracie Academy is offering free Women Empowered classes to all new students for the month of April. Read the LA Times article about the assault in full here.